Cathedrals hold a special kind of magic. The endless hours of devotion and reverence that go into each structure is as impressive as the architecture. They are beautiful. 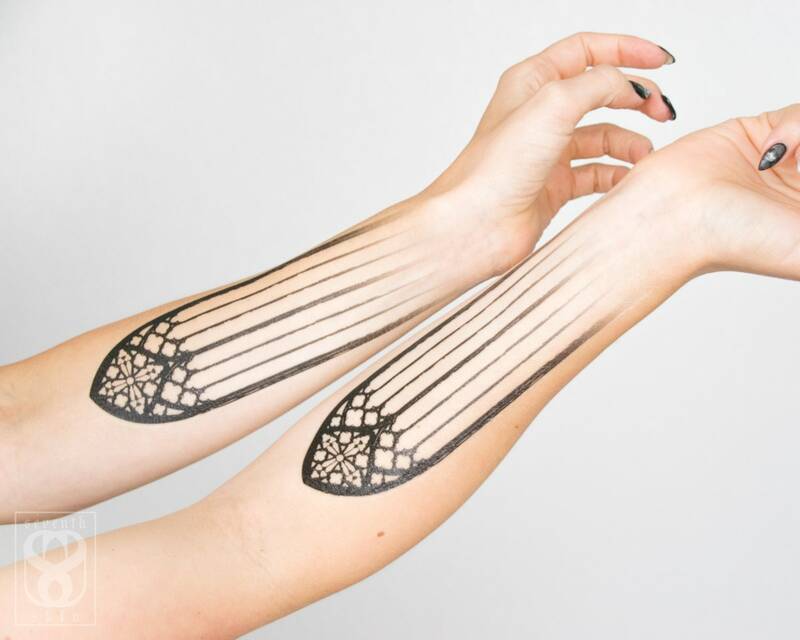 This design is taken directly from an architectural photo that I silhouetted, simplified and lengthened before making it a tattoo. 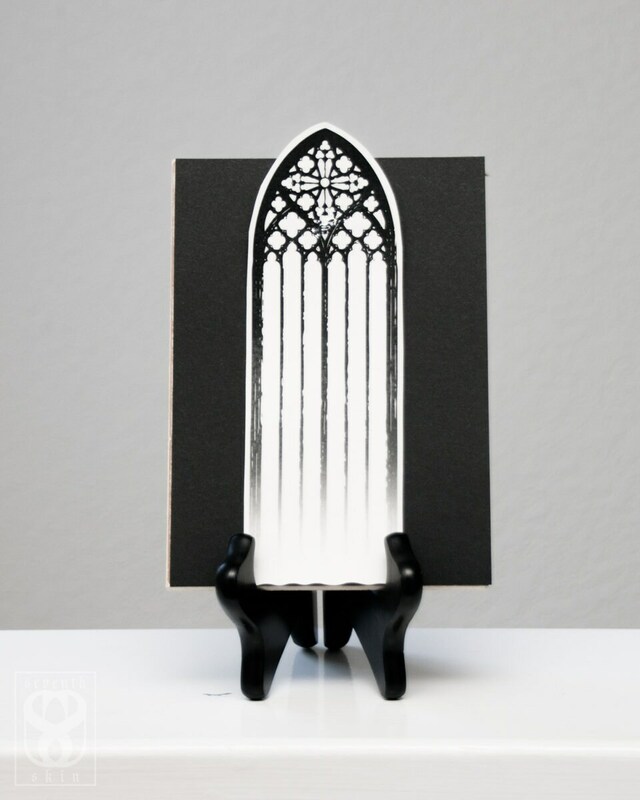 It would look amazing with our Dark Cathedral and Rose Window tattoos! Purchase a single, or a set of two for a discount. 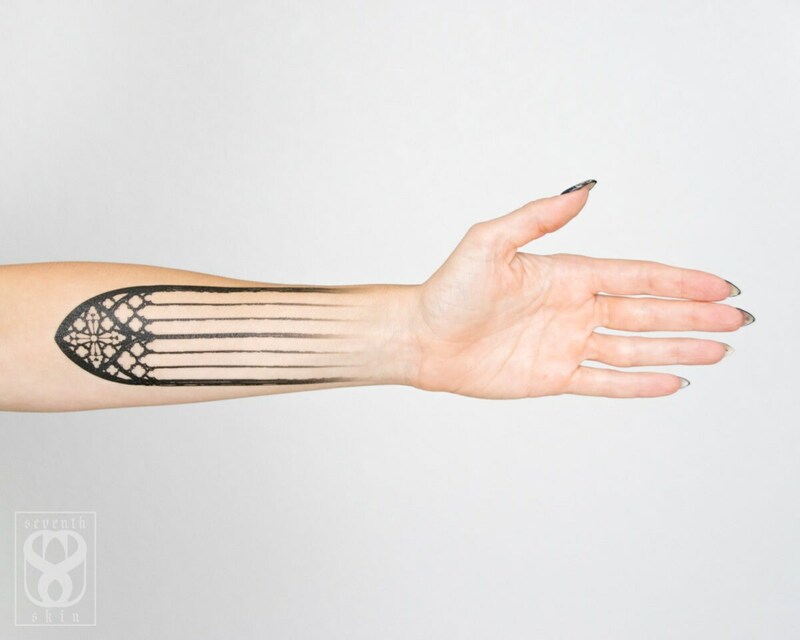 Each tattoo is approximately 7.5" by 2.5". Expect your large tattoo to last 4-10 days, depending on care.